Wasp's costume has magically changed colour between last issue and this. Possibly this costume is supposed to be her regular one. 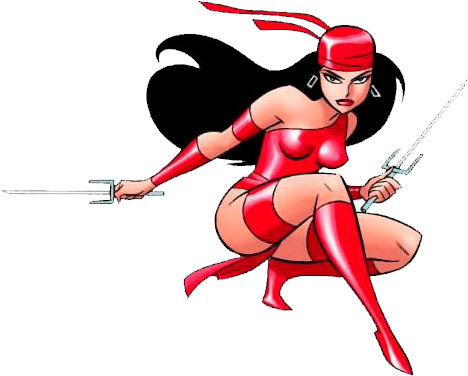 In that case the 2nd costume last issue could be the normal one miscoloured. It is unclear whether Vision was aware of his evil actions until now. Wasp's comment on his voice tones could indicate that his personality was switched off while he was obeying Ultron's instructions. 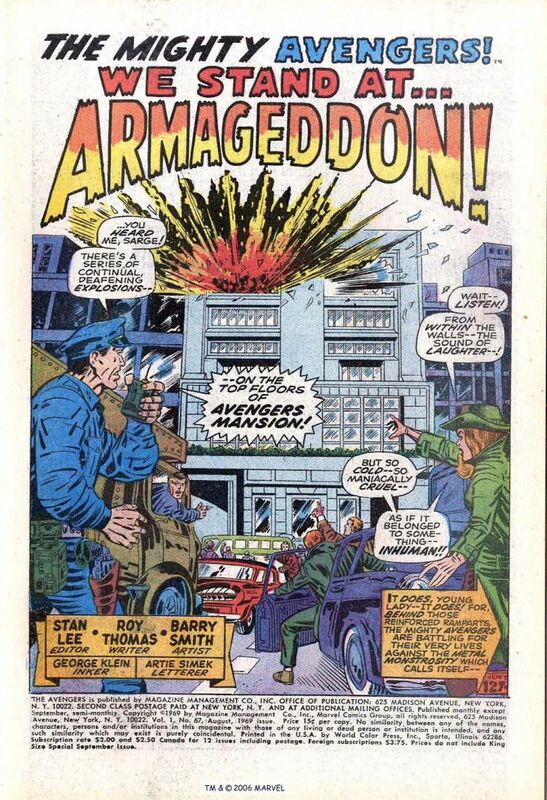 SHIELD Agents Dum-Dum Dugan and Gabe Jones were with Nick Fury in the WWII Howling Commandos. Agent Val de Fontaine is Nick's lover from the SHIELD series. Although next issue Vision shows himself once again to be on the side of the good guys, no-one in the succeeding issues seems to worry about what other instructions Ultron may have left buried in the synthozoid's brain. Ultron's ability to alter his adamantium form will be explained next issue. It is because he contains the molecular rearranger mentioned last issue. Iron Man may miss out next issue but he'll be along for the ride, together with Captain America and Thor, in the following story in #69-71. 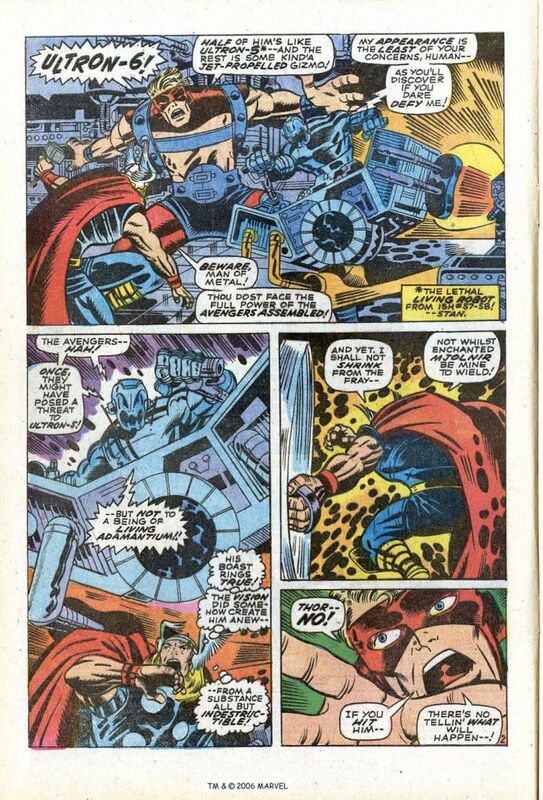 Goliath and Thor in Avengers Mansion face Ultron reborn last issue as Ultron-6 with an indestructible adamantium body. Vision muses how Ultron must have buried instructions in his android brain when he created him, to rebuild him if he was destroyed. Vision retrieved Ultron-5's head after #57 and kept it until he was able to steal adamantium from SHIELD last issue and use the mansion's computers to fashion a new body for his master. He regrets his actions but couldn't avoid doing them. Iron Man, Wasp and Yellowjacket join the fight. Ultron-6 easily defeats Iron Man because his armour is still weak from last issue, and IM sits out the rest of this issue and the next. Ultron brushes off the rest of the Avengers and leaves the building. Vision tries to stop Ultron but fails. 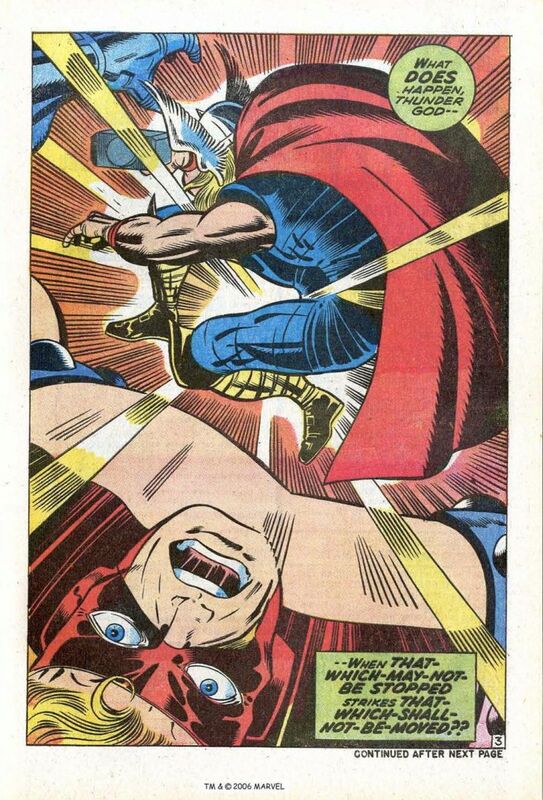 Ultron claims to be able to control his own form, even though adamantium is supposedly immutable. SHIELD agents disable Vision. Ultron starts a chain reaction that will destroy New York. Plus: Dum Dum Dugan, Gabe Jones, Goliath (Clint Barton).